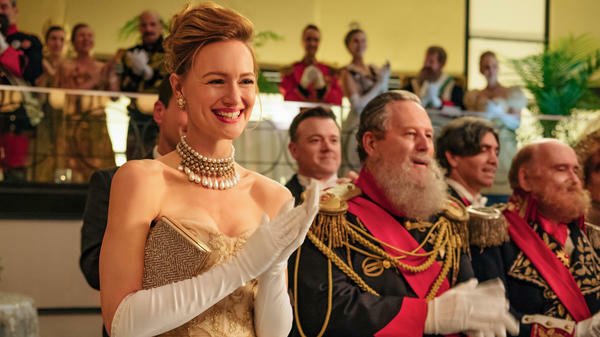 Kerry Bishé plays a woman who goes on a themed cruise for Romanov descendants in the second episode of The Romanoffs. The anthology series premieres Friday on Amazon Prime Video. The rollout plan for the new TV series The Romanoffs is unusual for Amazon — just as the drama series itself is an unusual experiment for the show's creator, Matthew Weiner. Instead of making the entire season of The Romanoffs available at once, as it does with so many of its exclusive TV series, Amazon Prime Video presents only the first two episodes on the night the series premieres. 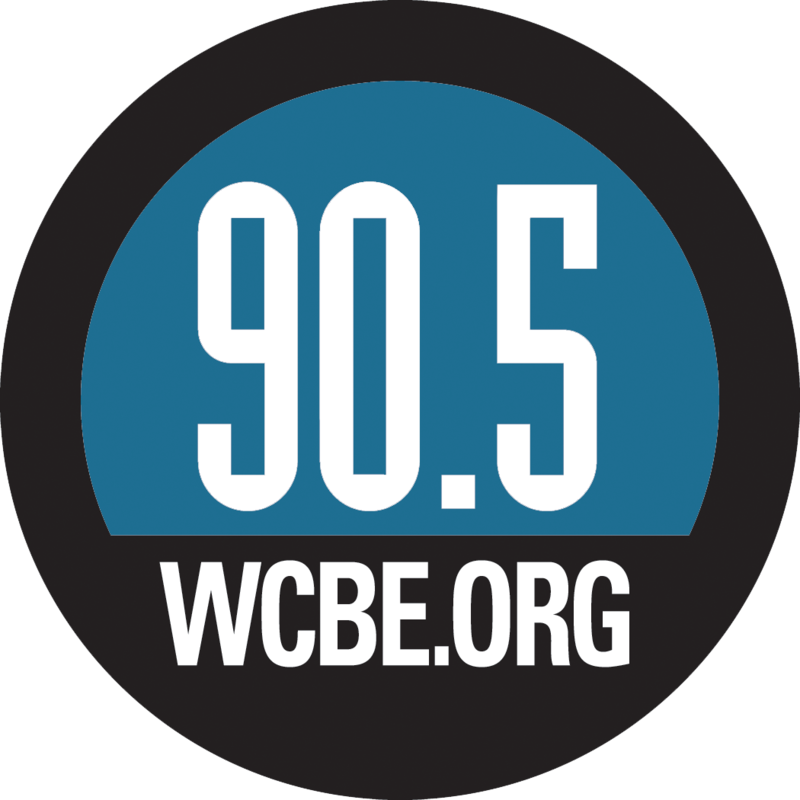 Subsequent installments will be doled out weekly, as they are on broadcast TV. And unlike the past two drama series on which Weiner worked — his own Mad Men and David Chase's The Sopranos — this new series does not tell a continuing story. Instead, The Romanoffs is an eight-episode anthology drama. But where such modern anthologies as FX's Fargo and HBO's True Detective tell a new story with a new cast every season, The Romanoffs is an anthology series in the purest sense. Like The Twilight Zone or Alfred Hitchcock Presents, or such live Golden Age drama anthologies as Playhouse 90 and Studio One, each episode of The Romanoffs stands alone. Mad Men was a novel, delivering one chapter a week. The Romanoffs is a collection of short stories, distributed on the same schedule. Each episode looks at a different person who is, or claims to be, a descendant of the infamous Romanov clan — the czar and his family who were killed by Bolsheviks during the Russian Revolution of 1918. The stories Weiner tells here, as writer or co-writer and as director of every episode, are set in the modern day but in various locations around the world. I've previewed only the first two episodes, which isn't enough to deliver a final verdict on the series as a whole. But some judgments, certainly, can be made. Both of the opening, movie-length installments are sharply written, compellingly performed and confidently directed. They're beautifully photographed. And just like anthology shows ought to do, they go in unexpected directions, because none of these characters, or actors, have to show up for the next episode. And there are some episode-specific quirks as well. The opening installment, The Violet Hour, is set in Paris and features a surprising amount of dialogue in French with English subtitles. And the second episode, The Royal We, manages to turn into some weird sort of mixture of 12 Angry Men and The Love Boat — and, improbably, features more cigarette smoking than Mad Men ever did. The Romanoffs announces its intention to shake things up and go its own way immediately by starting with a polite instrumental opening theme that shifts suddenly into the defiant lyrics of Tom Petty's "Refugee." The first story features Marthe Keller, who starred opposite Dustin Hoffman in Marathon Man in the '70s, as Anushka, an elderly woman living in a Romanov family apartment in Paris. She's a pampered, secluded racist whose attitude and outbursts make it impossible for her to hang onto her hired help for long. The second episode, with an entirely different cast of characters, is set in more familiar American ground. Corey Stoll and Kerry Bishé play a couple going through the motions in a stifling marriage. Before long, they embark on adventures that lead to unanticipated new possibilities — he on jury duty, she on a cruise ship. But before that, Stoll's character, Michael, is stuck working in a strip mall at a test preparation storefront where his college-bound clients have some very lofty goals regarding their potential SAT scores and their college admission targets. One young man wants to earn a perfect score and attend Harvard, but Michael's advice is to settle for less. "The big secret is," he tells his ambitious young client, "nobody's happy." Well, I'm happy, because The Romanoffs is another modern series, like Fargo and American Crime Story, that is bringing back the best elements of what the classic old anthology series used to provide. I don't know quite what the rest of Weiner's new series has in store, except that its upcoming stars include Christina Hendricks, Isabelle Huppert, Diane Lane and Paul Reiser. But I'm looking forward to it — in part because not knowing what to expect is more than half the fun.